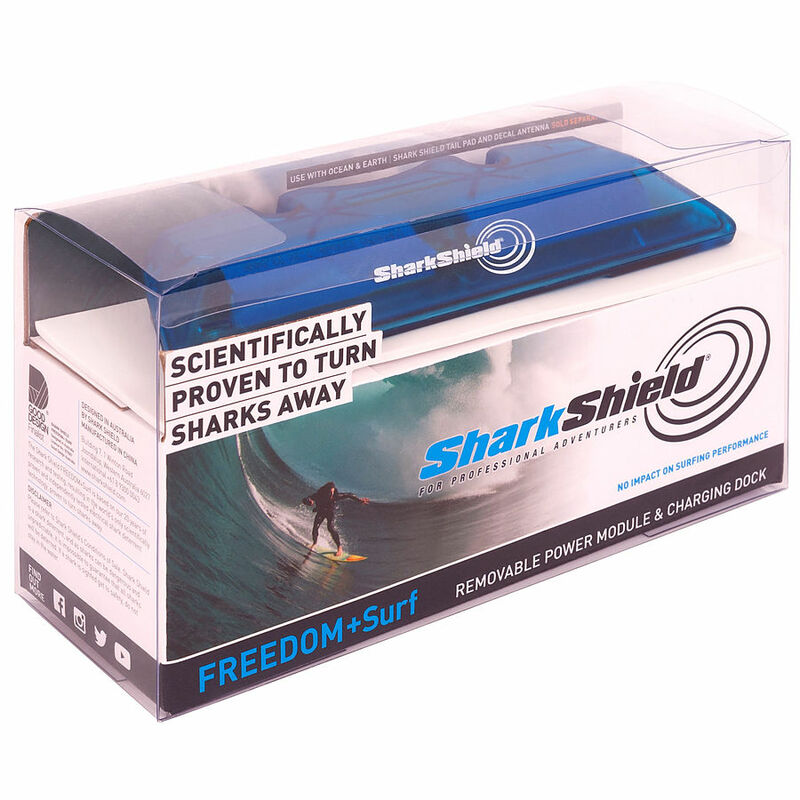 4	stars -	"Review for Ocean Guardian Shark Shield Freedom Plus Surf Power Module" Mark Taylor This Ocean Guardian Shark Shield Freedom Plus Surf Power Module is the best Shark Protection I have tried. The all new Shark Shield FREEDOM+ Surf is the result of collaboration with Ocean & Earth and 2 x World Surfing Champion Tom Carroll. 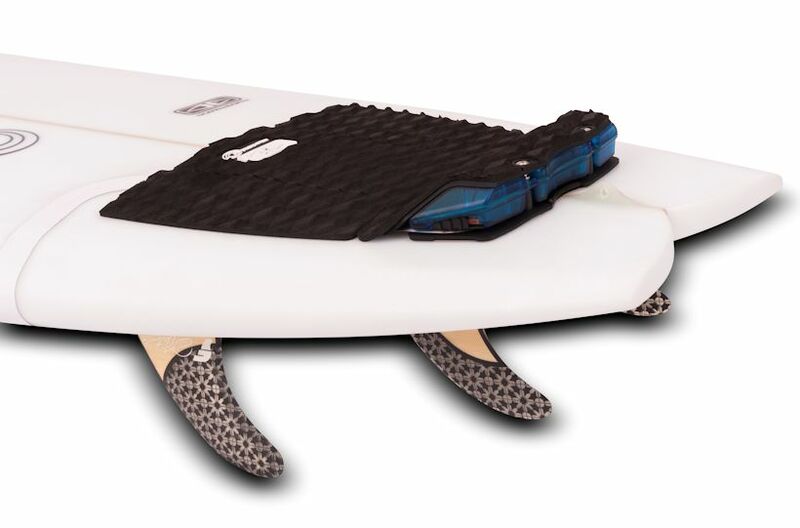 This removable power module with LED indicator for power on/off and battery life is housed in the kicker of a custom designed Ocean & Earth Tail Pad / Decal (sold separately), enabling you to move the power module easily between your surf boards and for recharging. The Ocean & Earth Tail Pad / Decal has the all-important antenna electrodes designed into a sticker thin adhesive decal applied to the underside of the surfboard. With a weight of just 250 grams and a near zero drag adhesive decal antenna (only 600 microns thin), there is no impact on your surfing performance. 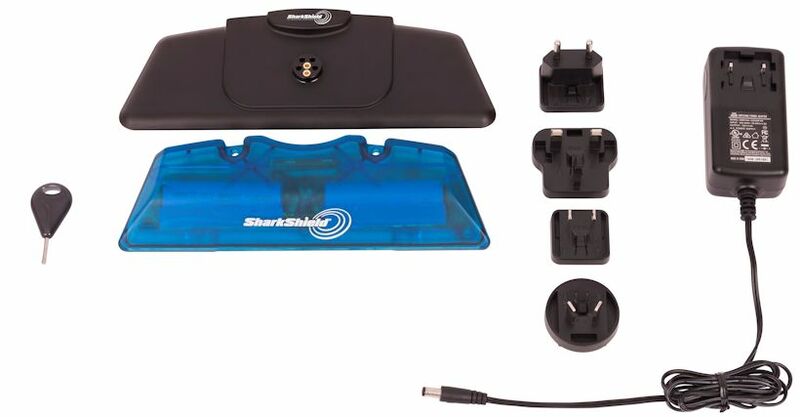 Shark Shield is the developer of the world’s only scientifically proven and independently tested electrical shark deterrents. Sharks have small short-range electrical receptors in their snouts used for finding food. Shark Shield’s unique three-dimensional electrical waveform instantly turns sharks away by causing unbearable spasms in these sensitive receptors. Trusted by professional adventurers around the world, Shark Shield is a safety device providing peace of mind while supporting the conservation of sharks. If you’re serious about adventure, you wear a Shark Shield.